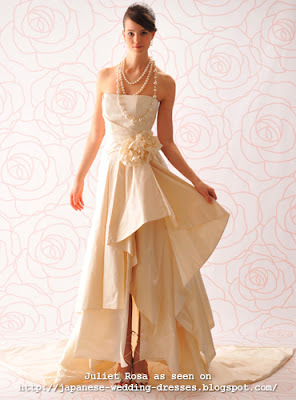 Tokyo bridal boutique Juliet Rosa has a stunning collection of bridal gowns ranging from simple and elegant to chic avant-garde. Any bride will surely want to step into these beauties! I love the pretty floral print on this elegant and simple A-line gown! 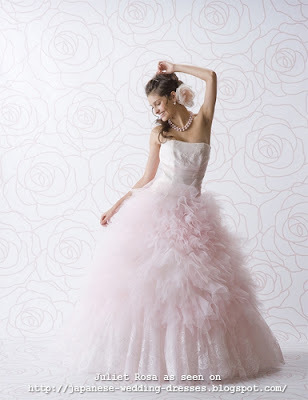 Pretty in pink ballgown with a frothy chiffon skirt. Darling 2-piece wedding floral print dress. The balloon skirt is a playful and unexpected touch. Simple but attention-grabbing 2-piece strapless A-line gown with a bustled skirt. 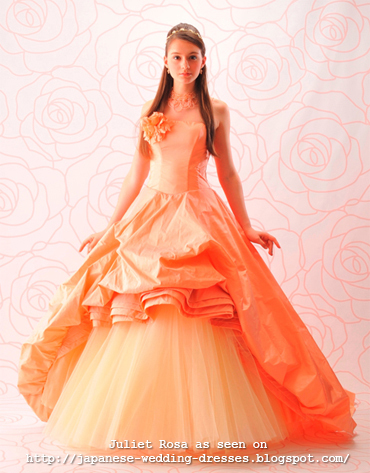 Classic strapless A-line gown with fabric rosette. 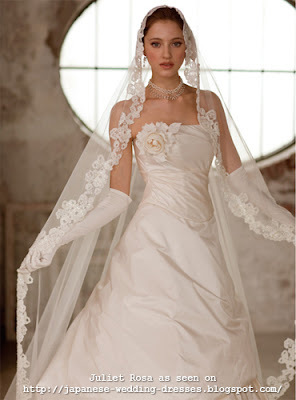 The veil edged with floral lace creates a lovely impact. 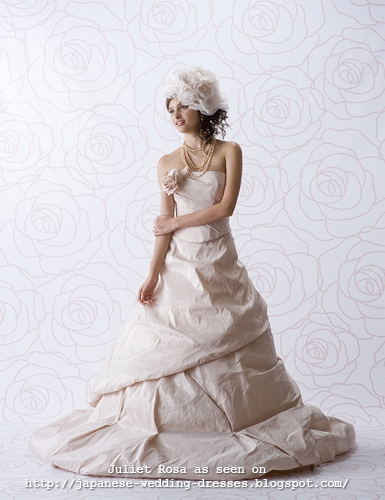 This empire-waist gown has a classic cut on the top but has a surprising twist below. This pink gown with a layered, uneven skirt will turn heads for sure. I love how clean this gown looks on top and avant-garde and offbeat below. 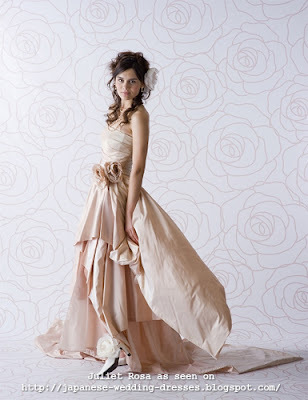 Beautiful classic gown with an uneven layered skirt. 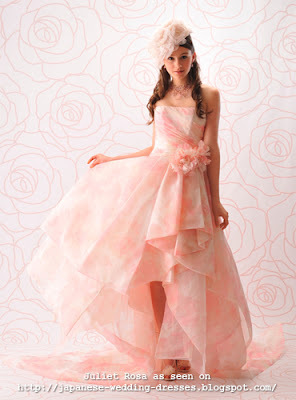 Sweet princess-line gown with an asymmetrical hem and a burst of chiffon below. So elegant and detailed! Great collection!